Rozelle Park will once again host elite Cyclocross racing as the Trek Super Quaich series comes to Ayr. This Sunday (28th Jan) over 300 people will take on the 4th edition of the ‘Doonbank Trofee’. 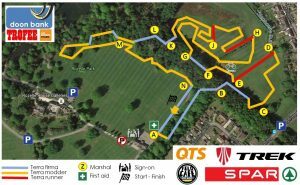 The popular event is known for its challenging course through the scenic park in South Ayrshire, with a variety of obstacles including stairs and hurdles that force riders to dismount and run. More than 250 spectators turned out for the 2017 event, and hosts Ayr Burners are preparing to welcome even more this Sunday. Thanks to a twenty-strong volunteer-team the park will transform over the weekend into a major cycling arena. The short 2.5km course is a great way to experience cyclo-cross racing, with the chance to see many of the best riders in the country including Commonwealth Games team members. The Trek Super Quaich is a three-race series that sees the top 200 riders in the country ranked by ability rather than age or gender. This ensures tight racing throughout the field and has proved so popular that all events have been oversubscribed since the series began. The fields are split in two, with the top riders fighting it out for series points, and the lower ranked riders racing for one of five promotion spaces for the next round at Irvine Beach Park. The activities begin at 10:30, with an opportunity for any under 12s to experience the course as part of a non-competitive fun ride. 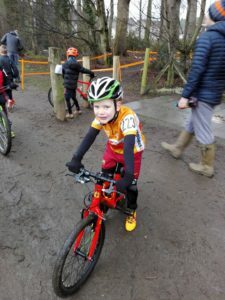 Organisers are hoping to welcome many of the ‘Flames’ who graduated from Ayr Burner’s popular balance bike activities, along with any other local riders. The actual racing starts at 11:15 when the Under 16s will pin their numbers on for a frantic half-hour of racing on the same circuit as the elite riders. At 12:15 the Trek Super Quaich begins with more than 90 riders taking on an hour of racing as part of the ‘B’ event, sponsored by the popular Velo Café at Lagg on the Isle of Arran. 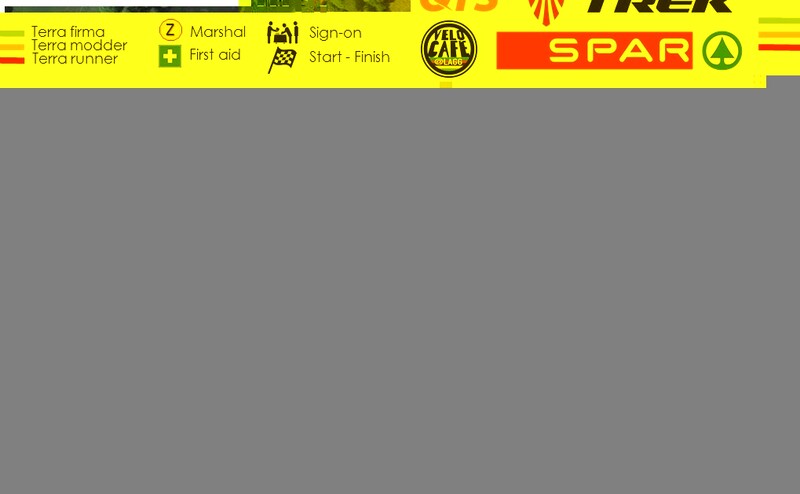 At 13:30 the main draw ‘A’ race will get underway, with 115 riders competing for the top prizes laid on by sponsors SPAR Scotland. The top ranked riders include elite mountain-biker David Duggan, former British Circuit Champion James McCallum and Team Scotland rider (and defending champion) Anne Ewing. 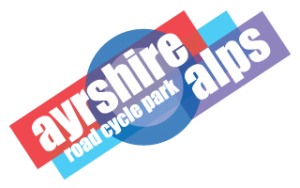 Within the race will be a contest for the first Ayrshire rider, expected to focus on Brian Yates (Carrick Cycle Club) of Dalmellington, Neil Walker (Cube Bikes) of Kilmaurs and Scott Kerr (Walkers CC) of Dundonald.